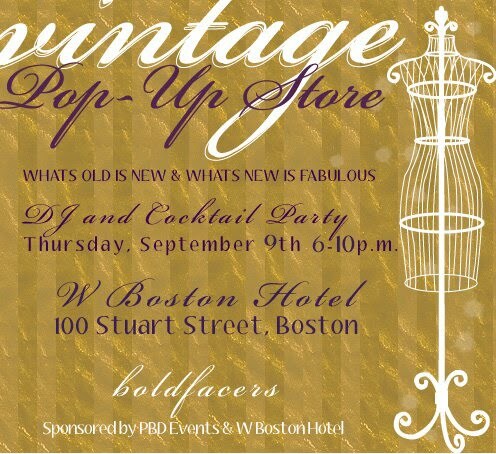 I'll be sneaking away from the Jewish New Year festivities a bit early on Thursday to hopefully score some amazing, one-of-a-kind treasures at the Boldfacers Vintage Pop-Up Store. Clothing, accessories and home goods will be on offer from Lady Luxe, Dame, Vintage Revenge, Rescue, Lucy Takes a Trip, Gracious Gems and Woostreet. So excited! And don't worry... for the uninitiated, Jewish New Year is really not so fun. No champagne, no fireworks. Just apples, honey and a ram's horn. Yeah, I never thought it is was quite fair either. what do you do with the ram's horn? chinese new year involves money! i love it! hopefully i will see you at this event! Somebody blows the ram's horn like a trumpet. Super exciting, let me tell you. But, yeah, I've always been jealous of Chinese New Year. Hope to see you Thursday! Should I look for a big flower above the crowd? Aw, wish i could jump on a flight and join you guys! Like Samantha, I love Chinese New Year... that's of course until you're hitched and you have to be the one dishing out the moolah! It's funny, my mum still collects our lucky money whenever she's in HK, even though my brother and I are all grown up! Happy hunting on your vintage finds. That sounds fun, hope you get some good stuff!